Tada's collection of plates, bowls, storage containers, and essential dinnerware is for those who like a splash of colour and quirky designs. Plus, the designs are all hand-drawn, so no two pieces will look the same. 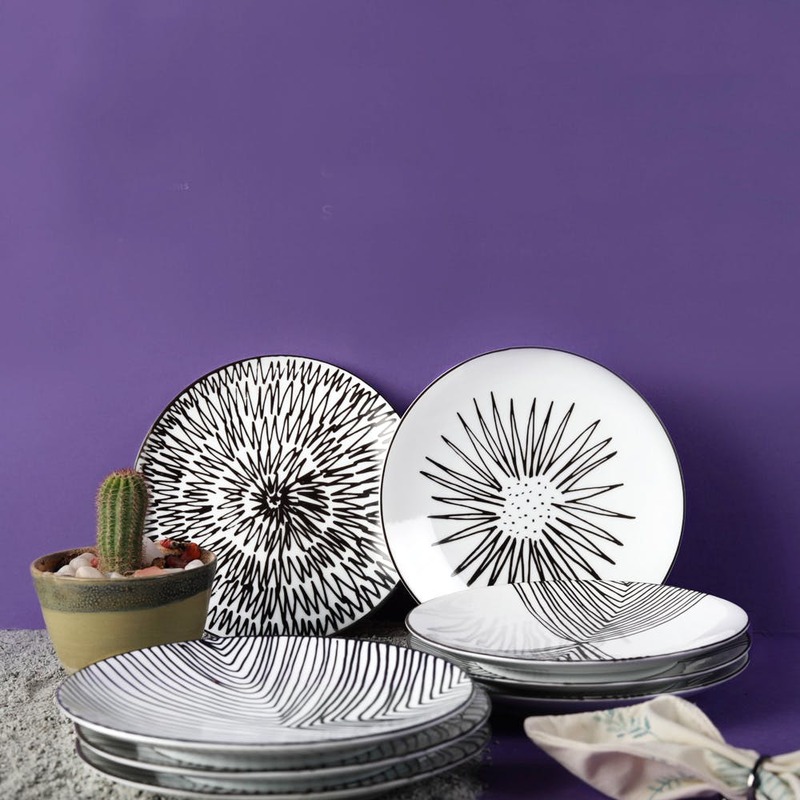 If investing in fine crockery is your kind of thing, then you need to take a look at Tada's collection of hand-drawn ceramic collection of dinnerware and home decor pieces. Yup, hand-drawn designs that give a touch of uniqueness to each dinner and quarter plate, pasta bowls, and a limited collection of storage containers. We found the containers dainty and with cutesy designs like blooms and flowers. Perfect for storing cookies, raisings, and pretty much anything that needs storing. The dinnerware comes in various collection with us favouring the yellow and blacks of The Marigold Field collection and the Prussian Blue Star collection. All of them are microwave and dishwasher safe, and come with a porcelain finish. Another thing we liked is that you can buy the collection as a set or individual pieces. And we are all about mix and match, so maybe the monochrome design on the Incan Moon dinner plate with the Sea & Blue pasta bowl in blue and white should make things interesting and Instagrammable. Free delivery is only available if you are shopping above INR 5,000 online, but hey, the good thing is delivery is pan-India. You can shop for their products online or alternatively visit Tesor, Studio Orenda or The Purple Turtles that stock up on a limited range.